What can I say? It’s true; I love it and I like to be prepared. You never know which day you might find yourself needing a quick fix of cardamom. Today was one of those days. It was a cold, snowy, really-need-something-sweet-with-your-sixth-cup-of-Earl-Grey kind of day. This is just the cake for those days. It’s fast and easy and won’t make you feel too guilty. Sure there’s a stick of butter in it, but there’s also yogurt. Yogurt is good for you. The cake is full of the sweet, spicy cardamom you’ve been craving and you’ll have it around for breakfast all weekend. Do it. Make it. Just make the cake. You’ll be back to whatever you’re supposed to be doing in no time. Okay, what do we need? 5 minutes and a preheated oven. Butter, honey, eggs, and yogurt. Flour, soda, powder, salt. Orange zest and, of course, the star: plenty of ground cardamom. Batter up and bake. Let the cake cool briefly, while you put on the kettle. Dust with powdered sugar and grab a fork. Dreary weather? Who cares? I’ve got my cardamom and carb fix, a pot of tea, and days worth of dessert for breakfast. Life is good. This cake is perfect with an afternoon cup of tea or coffee. 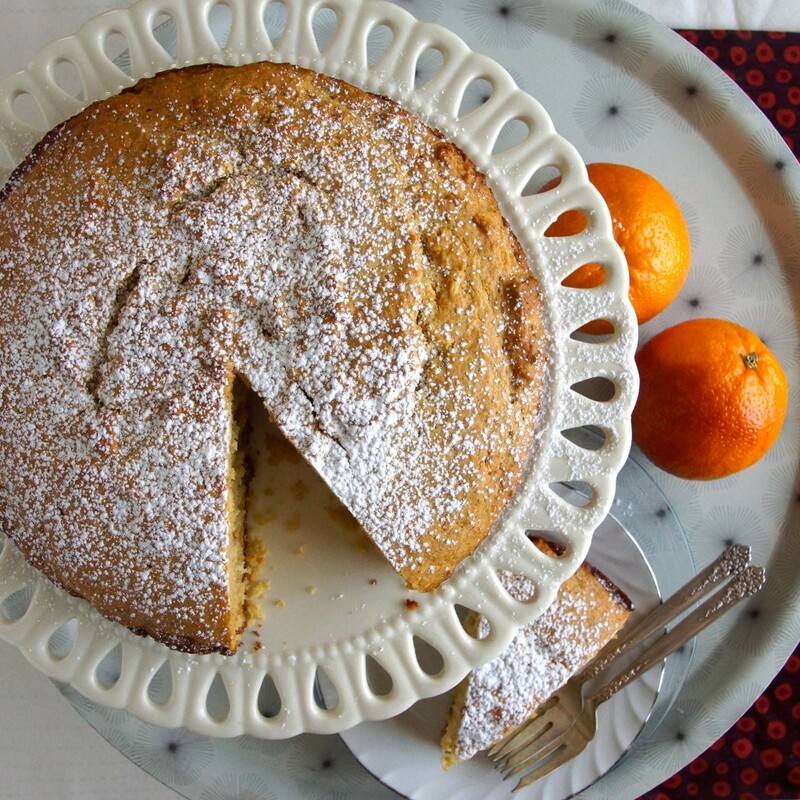 Feel free to embellish this cake; it is written to be a just lightly sweet afternoon or breakfast treat. If you want more of a showstopper brunch coffee cake, consider adding a crumb or streusel topping and peaches to the batter. Serving it for dessert? Perhaps some honey-whipped cream and orange segments would be nice. 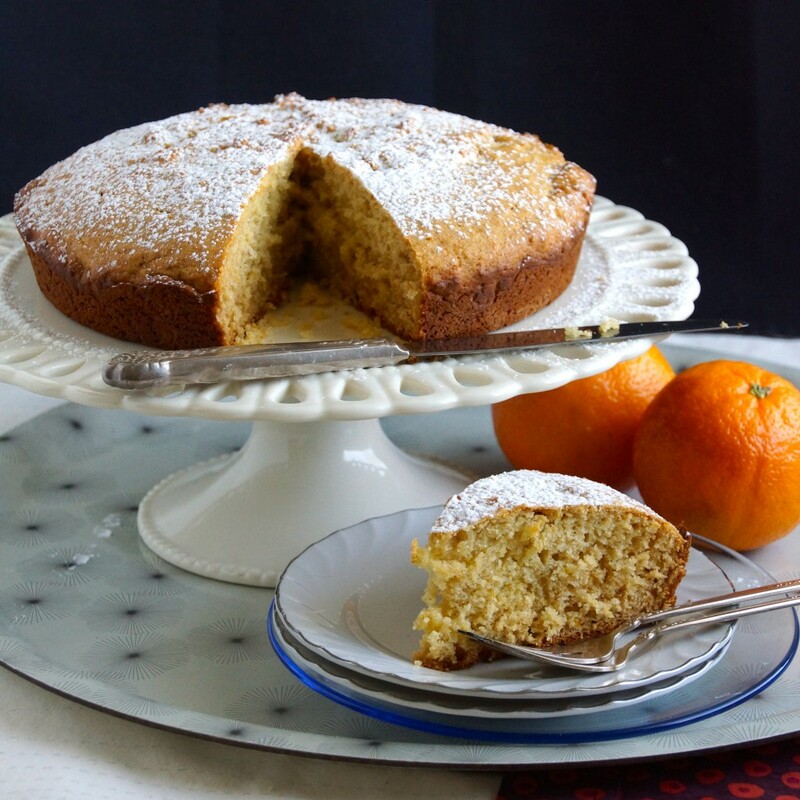 If you like your cakes a little sweeter, you could make an orange and honey syrup to pour over the cake when it comes out of the oven. Roasted pears? Ice cream? Oh, the possibilities! Preheat oven to 350°. Butter a 9 in. cake pan. With an electric mixer, beat the butter until light and fluffy, about 1 minute. Add honey and beat until well incorporated, 1 minute. Add the orange zest and vanilla and the eggs, 1 at a time, mixing until well-incorporated. Add half of the dry ingredients, stir until just combined. Add the yogurt, stir. Add the remaining dry ingredients and stir until just combined. Spread the batter evenly into the prepared pan and bake until a tester comes out clean, about 35 minutes. Allow the cake to cool for 15 minutes and dust with powdered sugar, if desired. I do believe I have all of the ingredients for this and I’m making it for breakfast tomorrow! I can already smell it in the oven, ahhhhh………………. Go for it! It’s one of those baked goods you almost always have the ingredients for on-hand. A friend sent this to me and I just finished making it. I love everything about this recipe! Thank you for posting it! (Note: I used spelt instead of all-purpose flour just because I needed to feel good about giving my kiddos cake in the afternoon after already giving them pancakes for breakfast…yikes… It still turned out perfect.) I can’t believe this was so quick and easy and is still so amazing! This cake was absolutely beautiful. I made it the other night for dessert and everybody loved it. It’s the most unusually different but undeniably mouth watering treat. Thank you so much for sharing, I will be blogging about your cake very soon! Thanks, Alena. I’m glad you like it and I can’t wait to check it out your blog. PS…I love the looks of that chocolate hazelnut meringue cake on your site! This sounds delicious. I just made a rice pudding with orange zest and cardamom. I love those flavors and can’t wait to try this cake. Delicious and wholesome recipe! I’ve made it twice and used whole wheat pastry flour instead of all purpose with great success. Makes the whole house smell amazing too. Thanks for a wonderful recipe!